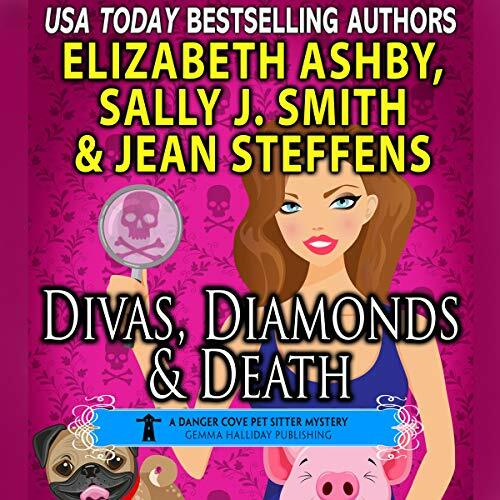 Showing results for "divas diamonds and death"
Pet Sitter turned sleuth Lizzie Jones is excited about the upcoming Second Chance Animal Rescue fundraiser. The celebrity draw, Sabrina Ramirez, is a pet psychic famous for her TV show The Critter Communicator. Sabrina arrives with her entourage that includes Rosie, an adorable teacup pig that Sabrina treats like royalty, Sabrina's buff bodyguard, her devoted nephew, and unexpectedly, her estranged ex-husband. When Sabrina needs a pet sitter Lizzie is thrilled to take on the job. That is until the little piglet is pignapped on Lizzie's watch - along with her diamond collar!